One more day and 2014 will be gone for good. very happy to have been part of such a wonderful community. Our was beautiful and full of fun, happiness and family time. Today I will be hosting the last party for 2014. It is so hard to believe this year is almost gone. Before we start the party, lets visit some of last week entries. 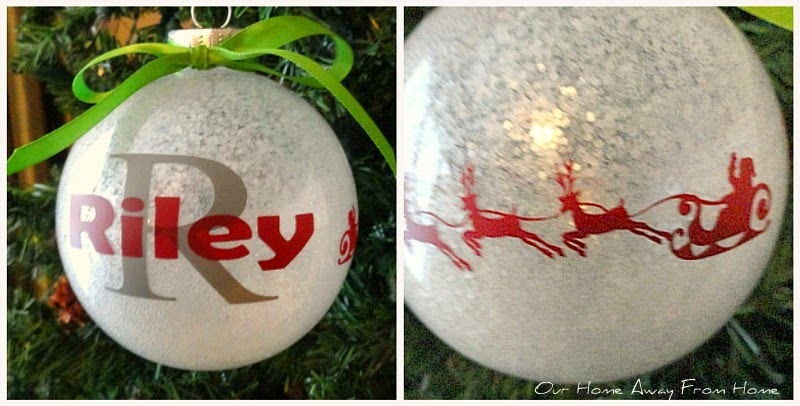 rustic Christmas decor. What a beautiful room! 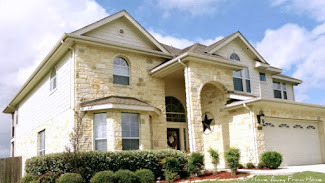 Another gorgeous home was shared by Poppy at Poppy View. Judith at Botanic Bleu shared her beautiful front porch. 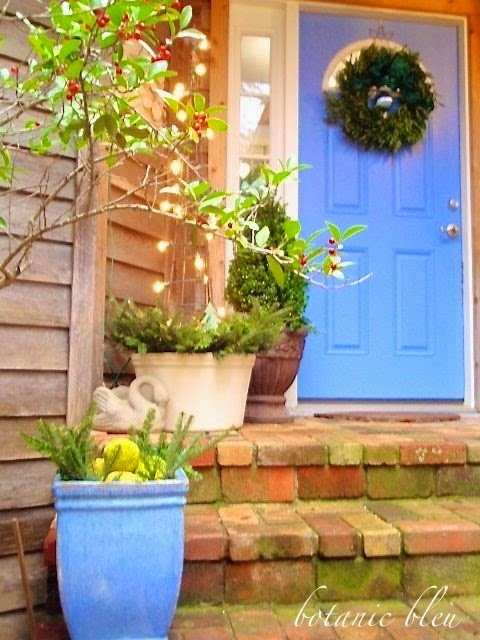 I have always loved her blue front door. So pretty! 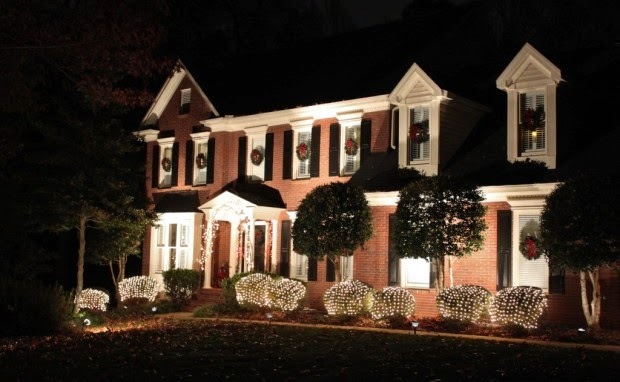 Lori at Dining Delight created a gorgeous home for the Holidays. 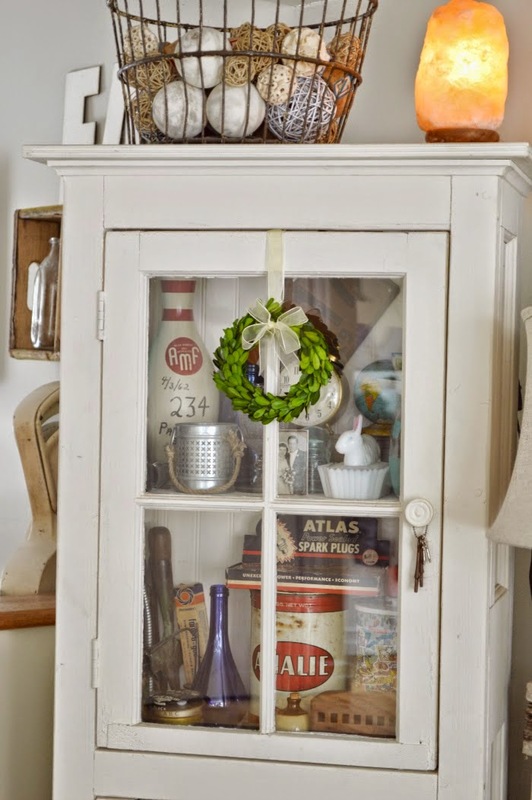 Patti at Old Things New shared the Christmas home tour of her new home. 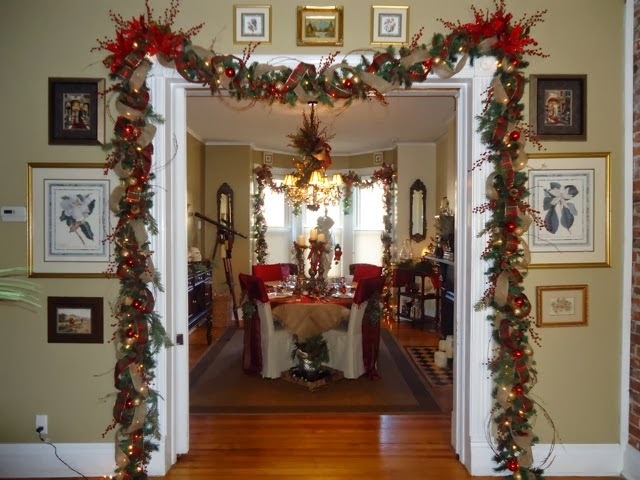 Ramon at RowHouse Events decorated his home beautifully for Christmas. I know you are all getting ready for Christmas and taking care of the final preparations before the big day. o make my little nephew an ornament for his tree. If you need some last minute Christmas inspiration,here are some of the highlights from last week. 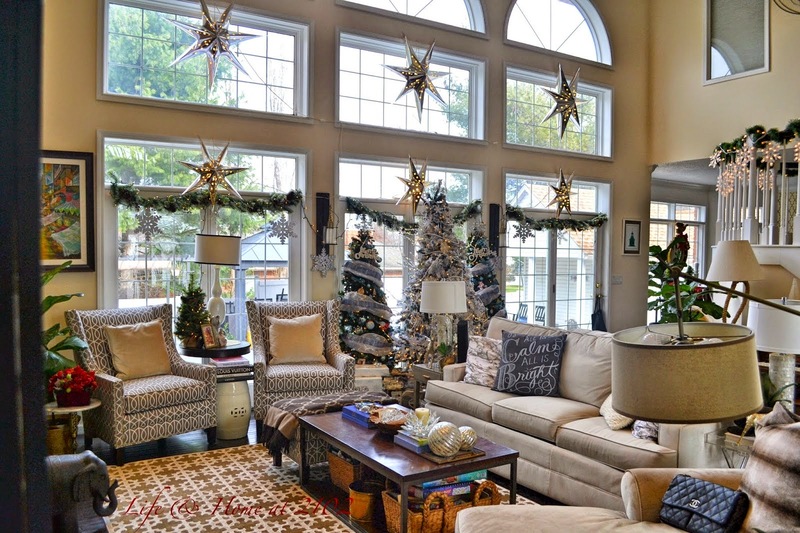 LuAnn at Lovely Livings shared her gorgeous living room all dressed up for Christmas. 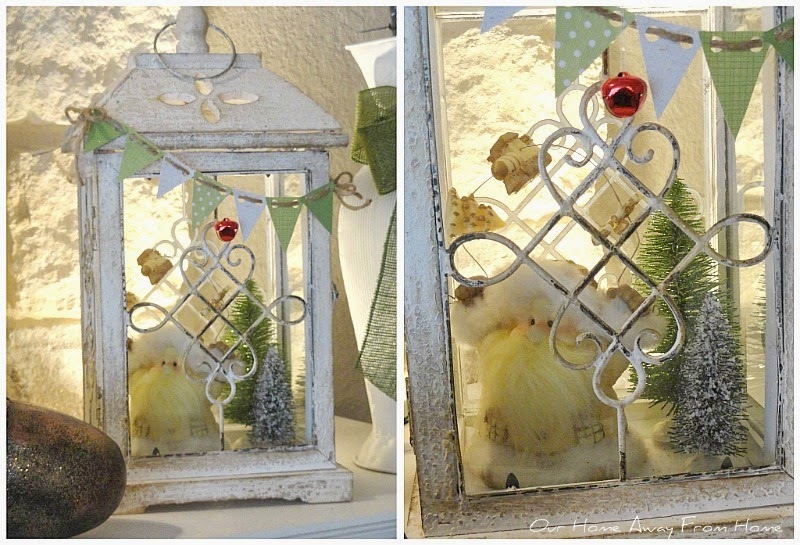 Marty at A Stroll Through Life also has her home beautifully decorated for Christmas. Shelia at Note Songs told us the story of how this beautiful Nativity set came to be. Fabby at Fabby's Living. Her home looks beautiful! 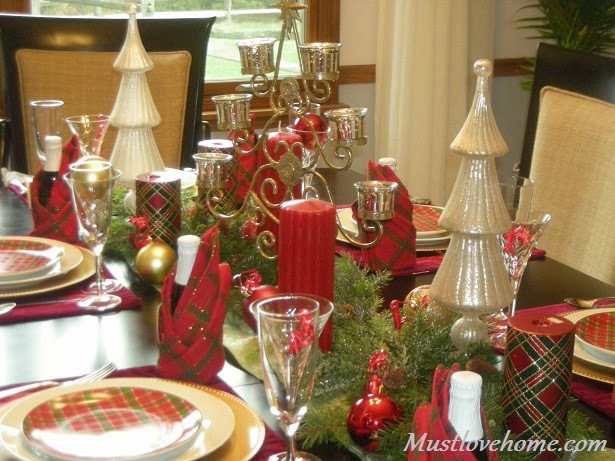 Christine at Must Love Home shared a beautiful Christmas dinner tablescape. I love every detail on this table! 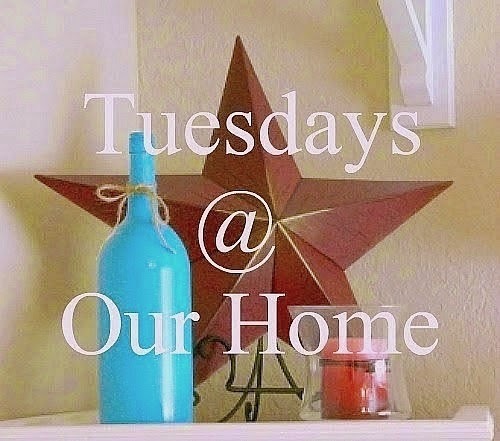 You will also be able to view all these post linked directly to the owner's blogs at my new Pinterest page. Are you ready for Christmas week? 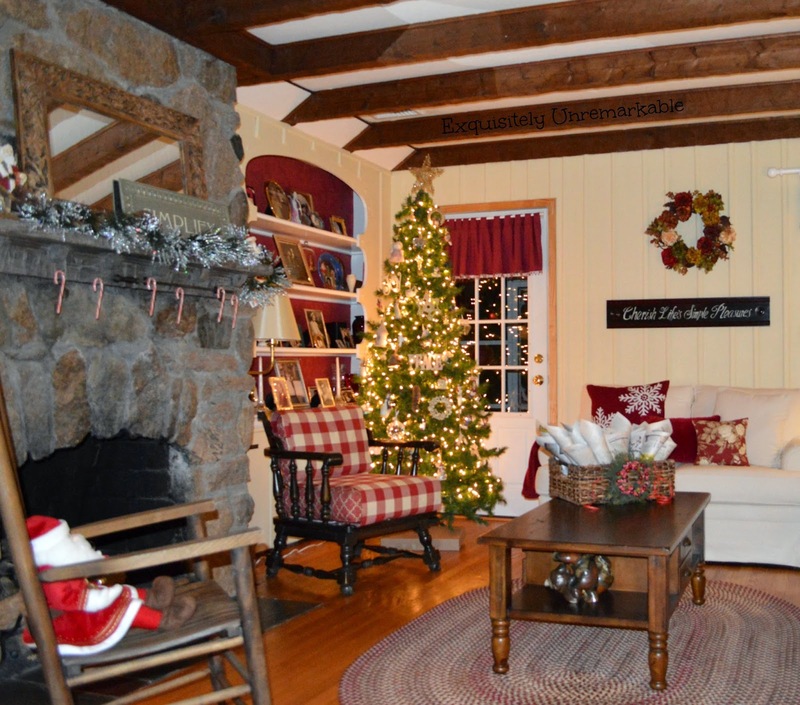 Today, I am sharing our family room, where we will be spending most of our family holiday time. I know you all probably were thinking I just forgot all about the porch this year. Actually, it was the first area that I decorated, but it is taking me a while to go through all the pictures. an "all in one" post of our entryway holiday decor. Am I the only one feeling like I am really, really behind this year? I have to confess that this year it is really taking me a while to get into the Christmas mood. I miss my beautiful Spain and my parents and brothers like crazy. Another Christmas we have to spent apart. And our son won't be home this year for the holidays, that is another reason for my heavy heart. And the fact that just today we reached almost 80 degrees in San Antonio, it doesn't help any. It just doesn't feel like Christmas to me. 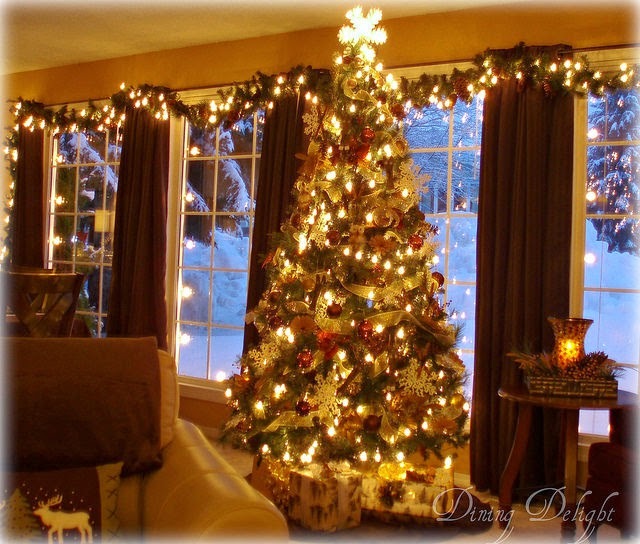 But I continue decorating and being cheerful for my husband and children, the house is finished, the gifts have been bought and wrapped, the Christmas cards have been mailed and even the menu has been planned. and then enjoy the holidays as much as I can. Hope everyone had a marvelous weekend! At least this didn't happened to us during Christmas. I was so happy to see some new blogs joining us. 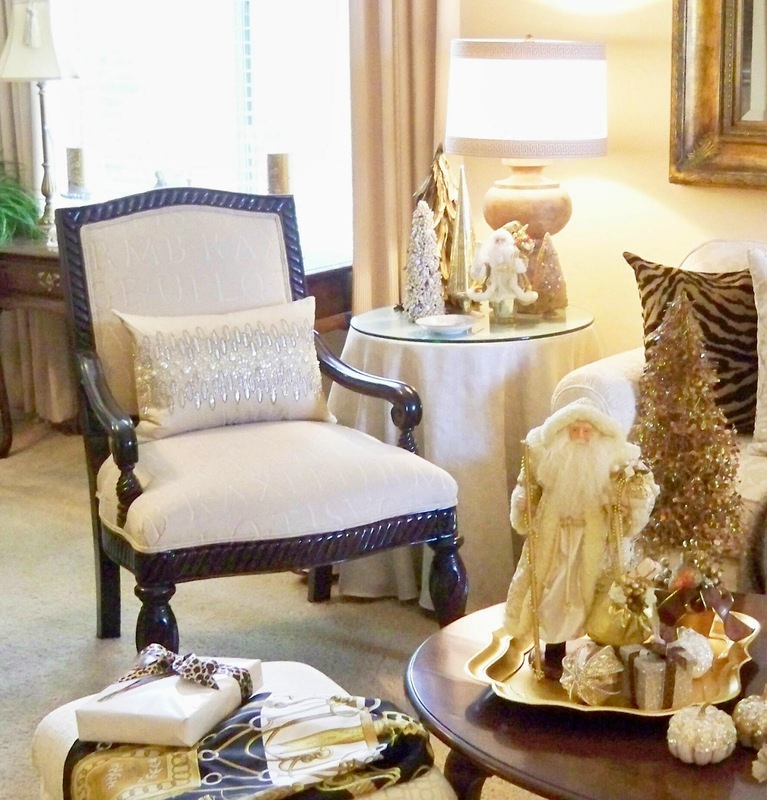 Vel at Life & Home at 2102 shared with us a tour of her gorgeous home decorated for Christmas. 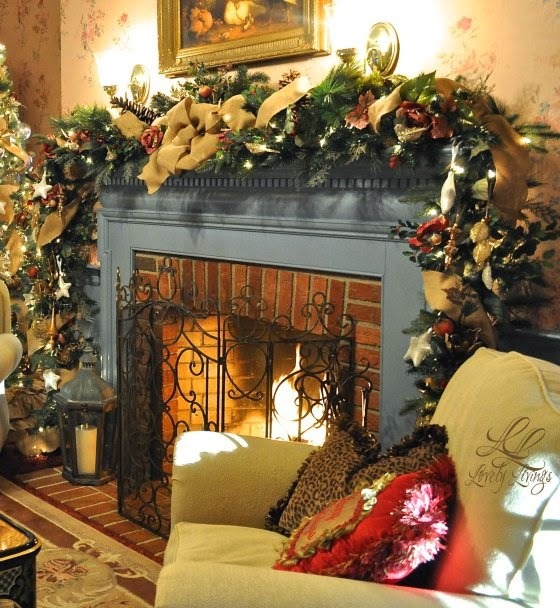 Carol at An Oasis in the Desert created a beautiful and warm entryway and living area for the holidays. Robin at Decorating Tennis Girl took us for a tour of her beautiful home decorated for Christmas. 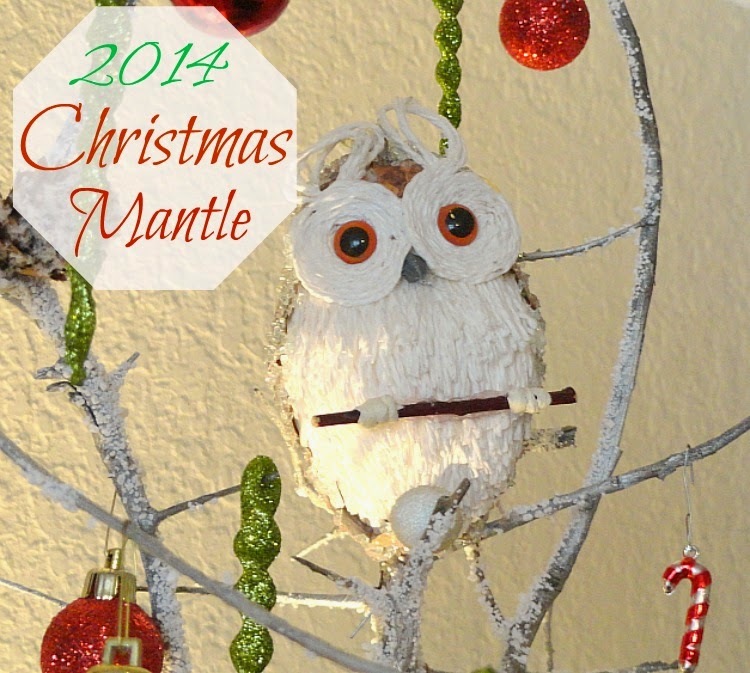 Shelia at Note Songs shared her gorgeous Christmas mantle. 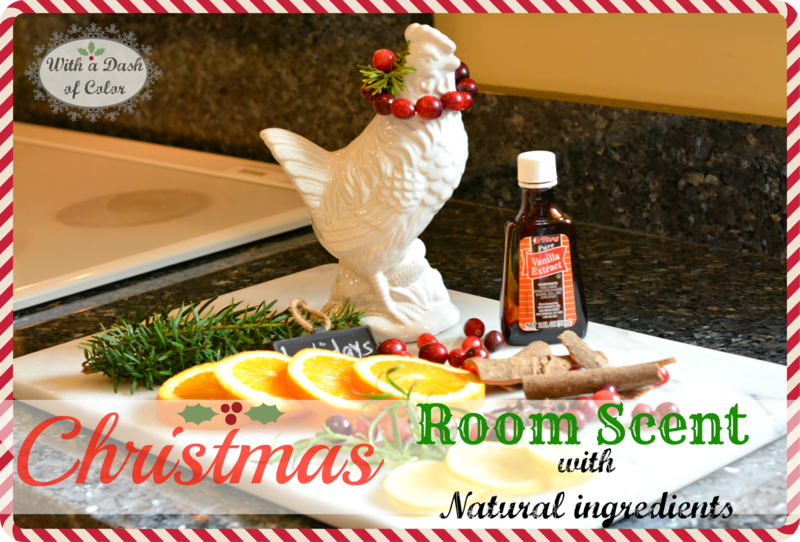 With a Dash of Color, where she shared a wonderful recipe for Christmas potpourri. 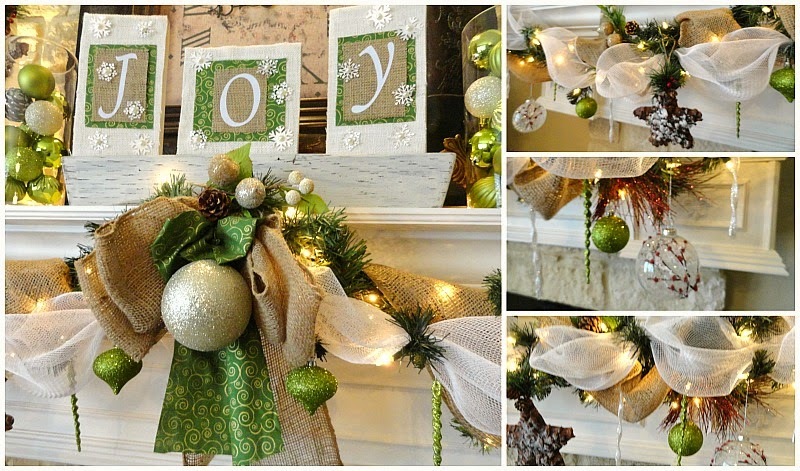 Shenita at Embellishments by SLR created a gorgeous holiday vignette on her coffee table. Gail at Purple Hues & Me amazed us again with her creativity. You just have to go see the beautiful dioramas she created using boxes from the Dollar Store. 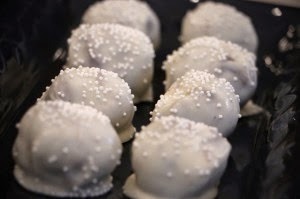 And last but not least, a great recipe and video for Snowball Cookies was shared by Jodie at Jodie Fitz. get my pictures organized and up on the blog. 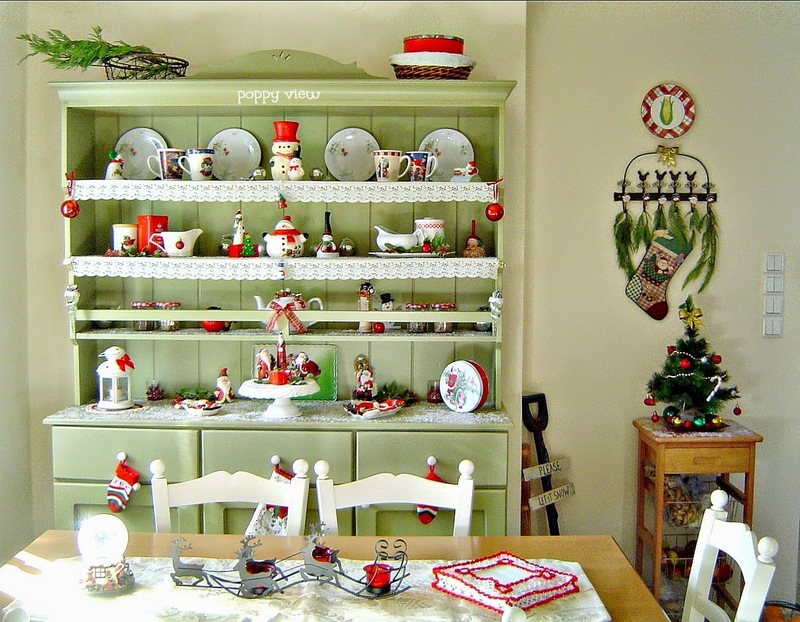 Today I am sharing with you our kitchen all decorated for the upcoming holidays.